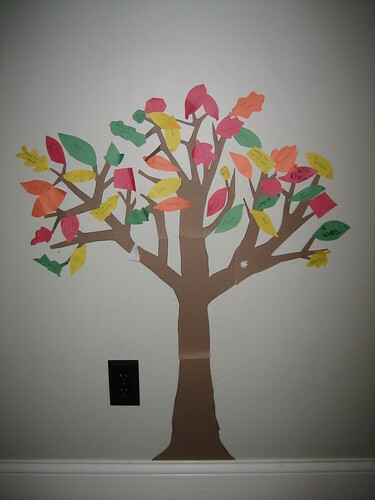 We did a slightly different take on our Thankful Tree this year: a paper version on the wall. I have too little counter space in my kitchen to give it up for a whole month during baking season! And this worked really well. Both kids were writing a lot of their own items to put on the tree, which was fun to see. Markus also added two very tiny but very detailed beehives. They are the white-and-gray things you see on the trunk. So there you have it! Just a few of the things for which we are thankful. God has richly blessed us.